A land of natural beauty where glaciers and volcanoes are abundant and, more importantly, the place where the Lord of the Rings films came alive, New Zealand certainly knows how to impress its visitors. 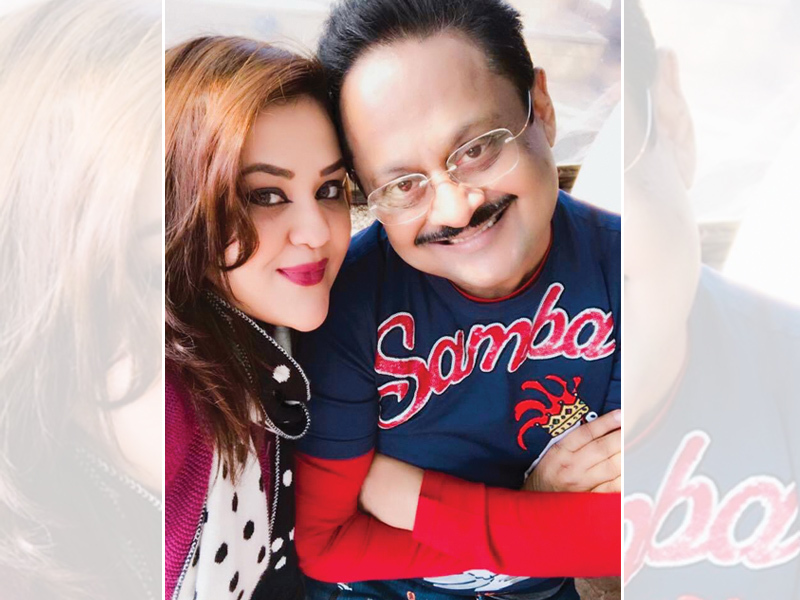 As frequent travellers, Shona Nivedita Chakravarti and her father Tapaas Chakravarti have visited the US and Europe quite often for work. However, when they finally found the time for a quick holiday-only trip, the father-daughter duo made sure not to miss out on the chance. After having heard many positive reviews of the island, they took a leap of faith and set out on a 10-day getaway. Here is a glimpse of a trip filled with adventurous activities, breath-taking views of the marine life, gorgeous vineyards, and the Kiwi spirit. As fans of leisurely-paced travels, we chose to visit only two cities for our 10-day sojourn. We kick-started the trip with Auckland and concluded it at Queenstown. A typical cosmopolitan city, Auckland was alive with hustle and bustle, and offered quite a few interesting tours to sample the Kiwi spirit. 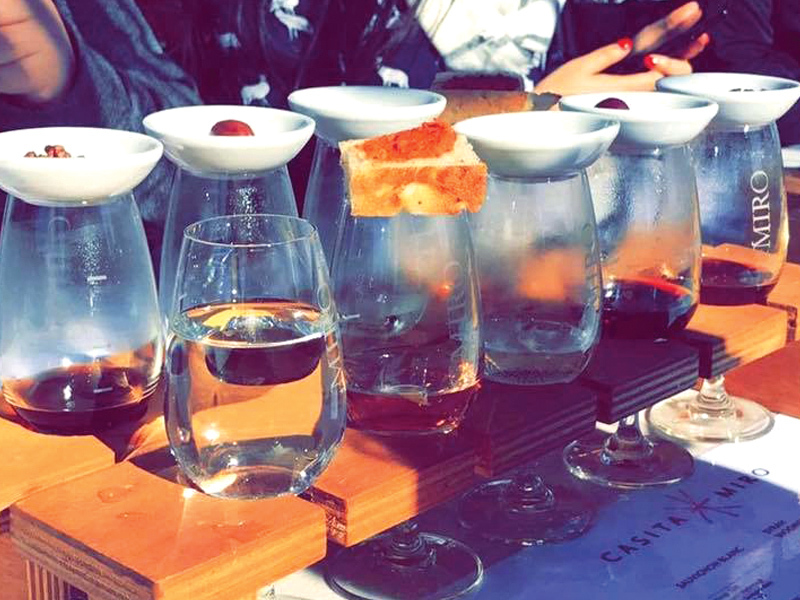 The wine tasting tour took us to the serene and quaint Waiheke Island. The tour spanned over four beautiful vineyards that export award-winning wines all over the world, and one very popular olive-oil producing orchard. Casita Miro was particularly remarkable, with its spectacular views and eloquent wine tasting experts who lead us through a series of delicious wines and foods at their famous Spanish-themed tapas restaurant. The distinct Madame Rouges and Blanc Sauvignons teeming with bright sunshine and a crisp chill in the air made for a relaxing outing. 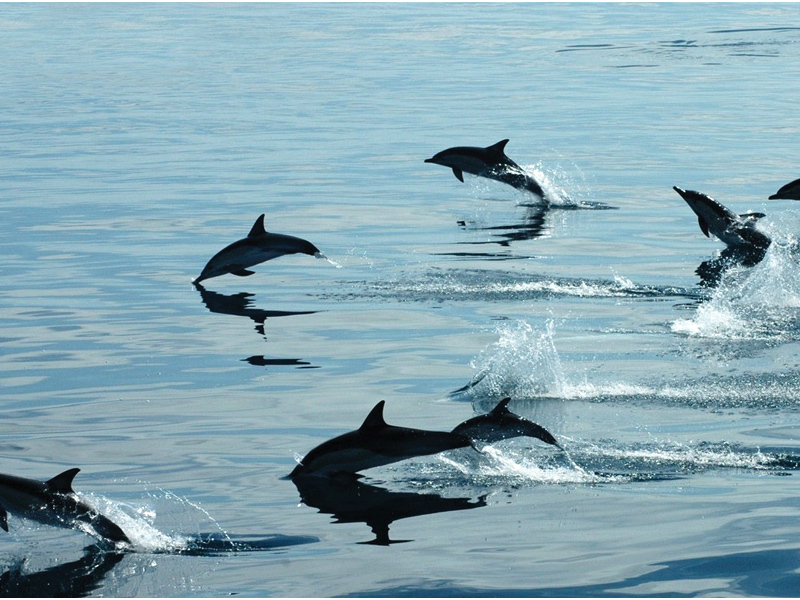 Another noteworthy escapade that we undertook was the marine safari, which led us to the middle of the ocean in a cruiser to spot dolphins and whales. Although we weren’t lucky enough to spot any whales, we did have the joy of witnessing several schools of dolphins that swam swiftly in tandem with the currents produced by the mariner. It definitely left both kids and adults awestruck. Queenstown was our next stop. 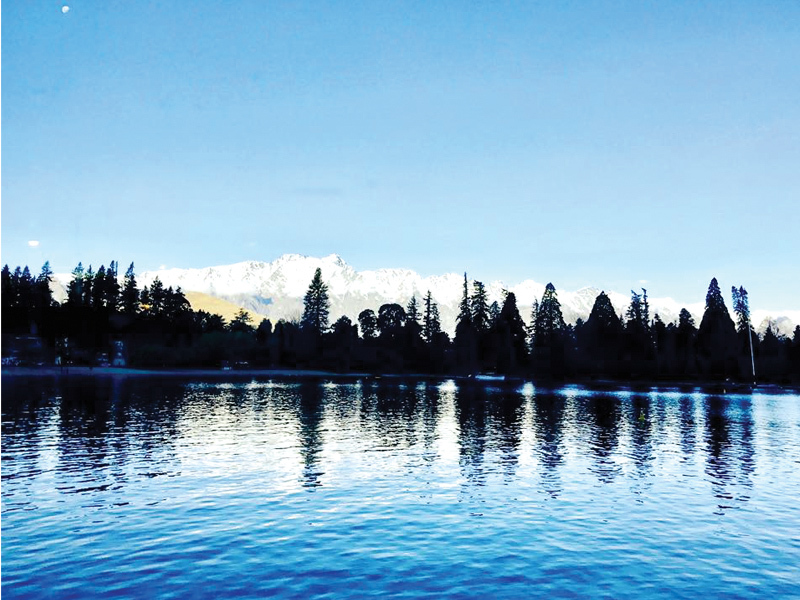 Set amidst glorious snowy mountains and lakes, this southern town of New Zealand should be the focus of everybody’s trip. Even the freezing sub-zero temperatures couldn’t dampen our enthusiasm, so astounding was this town with its amazing eateries, scenic beauty and, of course, the adventure sports. Despite being petrified of heights, my father and I went zip-lining and bungee jumping at the Kawarau Bridge. We also went paragliding at the Coronet peak, which is famous for its skiing facilities. The trek up to the peak from the cable drop point was a petrifying experience. This gave us a glimpse of the 4,000-foot free-fall while trekking up a one-foot wide path, when we were at the mercy of the pilot and a measly rope, tacked along the corners of the mountain. But the view we got on top and the jump off the peak with the pilot was magnificent. child-friendly experience. Here one can go-kart down the mountain along a one kilometre course. The sky-cables’ rides that take you there, though, can be a little nerve-wracking. 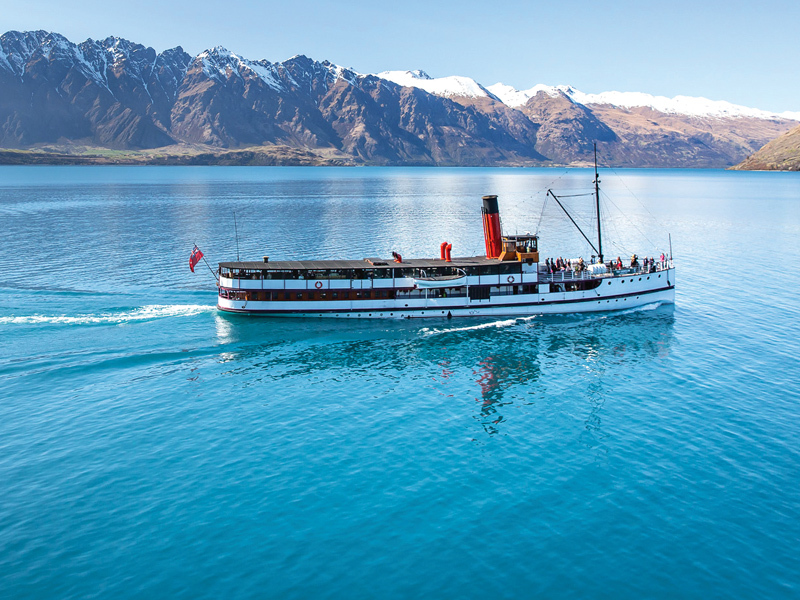 After all the madness, taking the steamer ship on Lake Wakatipu, followed by the dinner at Walter Peak was a very calming experience. If you’re a foodie like me, you must try out the dim sum and Malay cuisine at Madame Woo, the pancakes and hot apple cider at Ivy and Lola’s, and the delicious Vietnamese filter coffee at Saigon. In the end, when it came to the place as a whole, there might not be enough terms to describe its beauty. As for the people, they were a mix of local Kiwis and immigrants from many countries – the diverse cuisines definitely proved that. More importantly, they were very warm, fun, and helpful. New Zealanders really know how to treat their guests with hospitality and love.